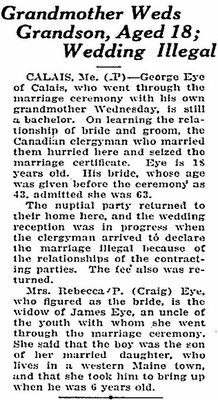 Newspaper marriage announcements can give you important clues for your family history. This one tells us where & when the marriage took place; the name of the minister; the names of the bride & groom and where they were from. 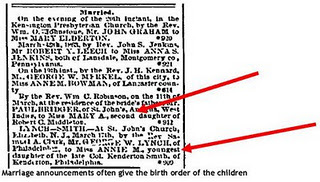 This marriage notice from the Public Ledger 23 March 1863 states that Mary A. Middleton was the second daughter of Robert C. Middleton and that Annie M. Smith was the youngest daughter of the late Col. Kenderton Smith. Here is a good example of 4 Generations of a family gathering for a wedding. 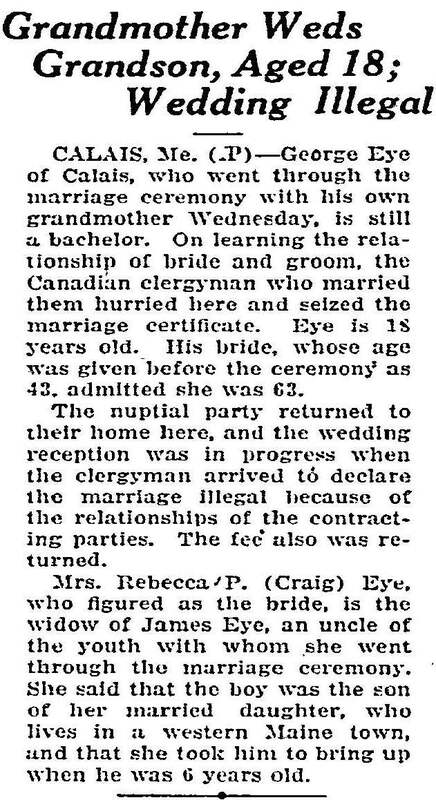 (Boston Journal 12 July 1906). 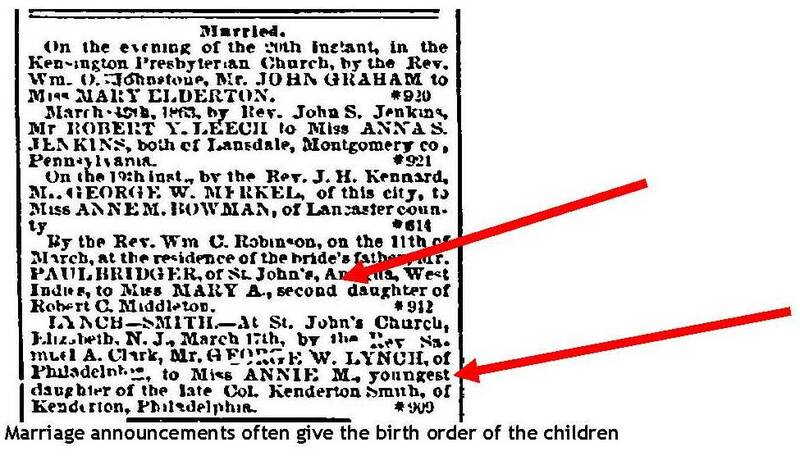 And then there is this example of a wedding announcement that includes too much information. (Idaho Statesman 28 Oct 1922).